Welcome to another year of celebrating First Australian culture and heritage in the Northern Sydney region. Welcome to the Guringai Festival 2017, we are still going strong! “Connections” is this year’s festival theme, inviting people of all ages to connect and participate in events across the region. We are promoting intergenerational conversations, activities and perspectives and when viewed by different people of different age groups, gender and races we have the ability to connect and shape our future, being inclusive of all. “Connections” invites youth in the region to contribute to our story of place so we can be better informed about what is needed now and for the next generations. As adults we need to listen and grow up our young ones strong! Once again we have a long list of activities that commemorate, celebrate and create spaces and places for those important conversations to be had. We invite you to come along; attend a concert; film night, forum, art exhibition or bush walk, which has all been created for you and your families enjoyment. For the 2017 Guringai Festival, primary students were invited to create an artwork that responded to the theme of ‘Connection’. Hundreds of entries were submitted, exploring connection of people and place, connection of communities, connection of families. The winning entry by Liam James Parker of the Northern Beaches Christian School is featured on the front and back covers of the 2017 program. Other highly commended entries feature throughout the program. A time to reflect on the profound grief and trauma experienced by the Stolen Generation. An opportunity of shared commitment to healing and reconciliation. Together we can make a difference! 2pm - Free BBQ and afternoon tea. 2.45pm - Smoking Ceremony and Welcome to Country and a One minute’s silence to remember and reflect. Dancing by Jannawi Dancers, didgeridoo playing by Scott Romain, dancing Gerard McMinn and fun activities for the children. In partnership with Manly Art Gallery & Museum, SharingStories Foundation has developed a unique exhibition designed to share its work on the maintenance of culture and language across indigenous communities in Australia and to portray indigenous knowledge, stories and culture in a highly engaging and culturally sensitive way. The exhibition includes digital storytelling, photography by Liz Thompson from her A Song for Country series and interactive media platforms developed by SharingStories with communities, including the West Kimberley, Flinders Ranges and Northeast Arnhem Land, as well as from communities in Victoria and New South Wales. This material will include community multi-touch books, films, language resources, and material showing the mapping of Songlines developed by communities. Image detail: Liz Thompson, Jeremy Cameron painting his brother Miko with the Gandjalala (Sugarbag Hunter) design at Weemol, NT. The material SharingStories develops will support a more profound dialogue among Aboriginal, culturally diverse and mainstream communities leading to a deeper understanding of Aboriginal culture and the rich cultural heritage of Aboriginal communities living remotely and in regional areas. It will lead to further educational opportunities with young people visiting our Gallery with their families and schools, and a deeper exploration of Aboriginal culture and connection to country. This exhibition is part of the Head On Photo Festival and the Guringai Festival celebrating First Australian culture and heritage in the Northern Sydney region. Liz has published over thirty books, many produced in collaboration with indigenous communities. Fourteen part series Sharing Our Stories, which included Liz’s photographic essays won the Australian Awards for Excellence in Educational Publishing. Liz’s photographic essays featured in four part book series Living with the Land and explored bush food and medicine. The Promised Land, based on collaborative photographic essays with photographer Ben Bohane looked at the impact of Indonesian rule in West Papua. In 2017 her new photographic book A Song for Country will be published by Magabala Books. Liz’s photography has been published in Australian Geographic, GEO, The Australian, The Sydney Morning Herald, The Good Weekend Magazine, The Independent, Art Review and numerous other national/ international publications. She’s held solo exhibitions at at Stills Gallery, The Performance Space and the State Theatre in Sydney, The Media and Design Space in Melbourne and Kettles Yard, Cambridge, UK. Liz wrote, directed and co-produced The Last Magician, shot in the Trobriand Islands of PNG and nominated for four AFI Awards including Best Documentary and Best Direction. She directed and wrote Breaking Bows and Arrows, for SBS, exploring reconciliation in Bougainville after civil war. The film won The United Nations Media Peace Award for Best Television, The AIBD World Award for promotion of conflict resolution and the Grand Jury Prize at the 3rd International Festival of Oceania Documentary Film. Liz produces radio for ABC Audio Arts and multi media photographic and audio visual content for ABC Online. Liz is CEO of SharingStories Foundation www.sharingstoriesfoundation.org. Johnny Nicol, great jazz guitarist and singer, is a Birri-gubba man from North Queensland. For many years he hid his Aboriginal background except from his closest friends. This year he celebrates his 60 years in show business at a Dinner and Show, telling stories and performing pieces from his long musical journey. Hosted by the Frenchs Forest Catholic Parish Social Justice Group in partnership with the Northern Beaches Aboriginal Community, as part of the continuing journey of Sharing the Story, Sharing the Land. A great explore especially for children’s eyes. 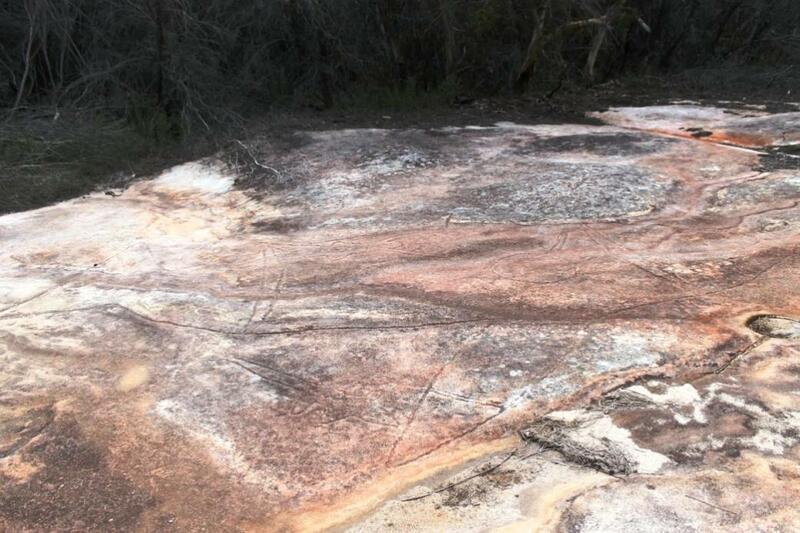 Aboriginal heritage, extraordinary biodiversity set within the surprisingly changing landscape of the Narrabeen Lagoon Catchment. Allow 4 -5 hrs. BYO lunch and water. Start next to 27 Morgan Rd, Oxford Falls, end at Deep Creek and carpool back. Join us at Collaroy Cinema to see ‘Jasper Jones’ - Growing up in a small country town in 1965, Charlie’s uneventful life is turned on its head when the town outcast, an Indigenous boy named Jasper Jones, appears at his window begging him for help. Directed by Rachel Perkins. PCS Art Exhibition Opening Night - Artworks created by the students from K to Y12 attending the 13 State Primary and Secondary Schools on the Northern Beaches, from Cromer PS down to Barrenjoey HS and Avalon PS. The collection reflects the 2017 Guringai Festival theme depicting the strength of connection to our community and beyond. The art exhibition will run at Warriewood Square for 8 days finishing on Friday 23rd June. Join Karleen Green, One Door Mental Health and Manly Environment Centre at North Head for a short bush walk followed by a hands-on paper - bark bowl making workshop. You will need to bring along your own bowl (small – medium size) for this workshop. Refreshments will be provided. Bookings essential. Numbers are limited. BYO bowl. 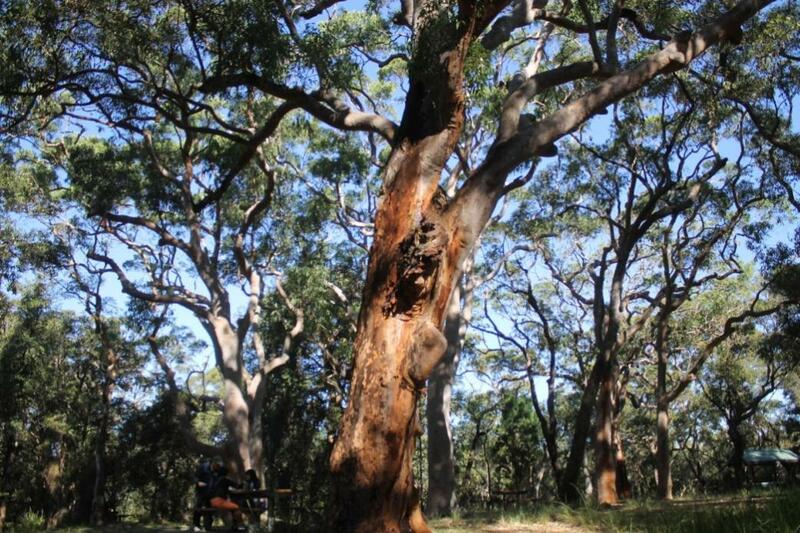 Learn about your local Aboriginal heritage on a guided bush walk with Karen Smith, Aboriginal Heritage Officer. Walk starts at Little Manly Beach, through the bush and up to North Head Sanctuary Foundation Nursery. Following morning tea at Bandicoot Heaven, join the conversation with Aunty Frances Bodkin, Dharawal knowledge-holder and botanical author. Bring water and hat. See it through the eyes of the children. At the site you will be told stories of times long gone by. 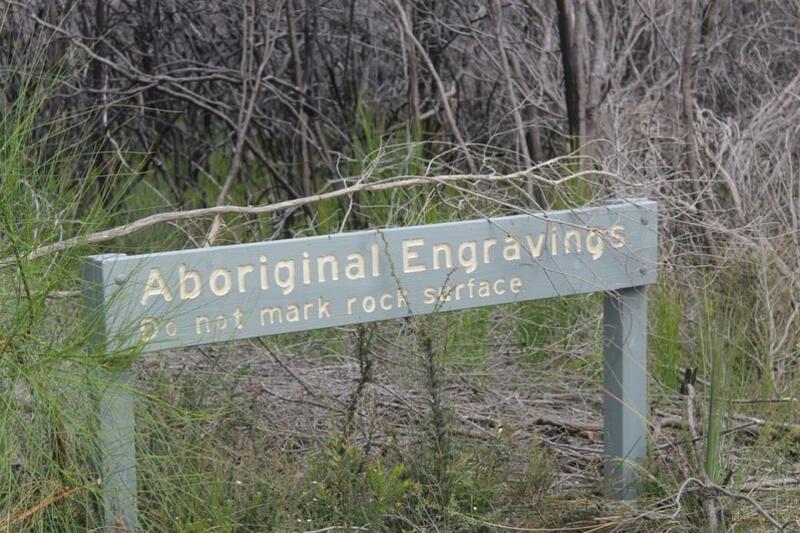 There will be explanations as to how the sites were used as school rooms for Aboriginal Children. Bring your camera for the view from West Head. Amazing! Manly Environment Centre, Manly Community Centre, Northern Beaches Aboriginal Community members, Northside Community Forum In, Sanctuary Respite Centre, One Door Mental Health, community groups, individuals as well as school children, join together to weave, knit and crochet artworks around the theme of – ‘Connect’. These artworks create a large textile landscape for this year’s Weaving Bridges Project, which is to be installed on the Stuart Somerville Bridge, Queenscliff. A NAIDOC Week event, the Launch Ceremony includes guest speakers, a smoking ceremony, didgeridoo performance, entertainment and the unveiling of the installation. Morning tea will be served. The importance, resilience and richness of Aboriginal and Torres Strait Islander languages will be celebrated and the unique and essential role that Indigenous languages play in cultural identity, in history, spirituality and rites, through story and song. All welcome - This is a free night including light supper.